The Central Coast boasts a huge range of beautiful environments, making the region perfect for exploring on foot. Best Bush & Coastal Walks of the Central Coast, the fifth book in Woodslane's hugely successful walking guides series, introduces the best walks for visitors and residents alike, ranging from leisurely cliff-top strolls to the more rugged tracks deep in the bush. 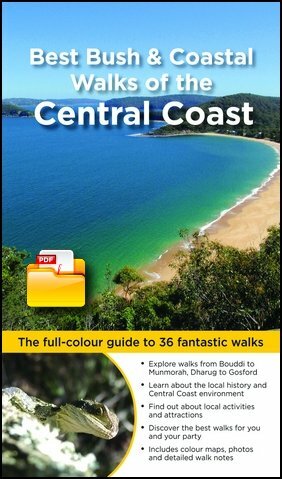 Detailed descriptions and maps help the reader explore the Central Coast's parks, bushland, lakes and coasts. As with previous titles in the series, the book is richly illustrated with over 150 full-colour photographs and dozens of detailed maps. A summary table of walks indicating distances, facilities and highlights is included to help the reader find exactly the right walk for the occasion. Walking chapters: Bouddi, Brisbane Water, Dharug, Central West, Gosford, The Entrance and Further Afield.